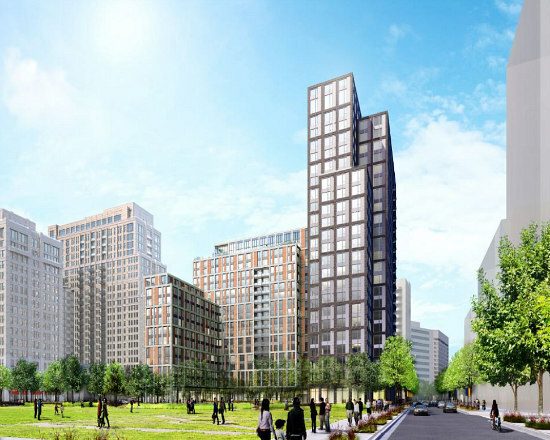 These 6 developments, in various stages of planning and completion, could soon provide up to 1,200 residential units in proximity to Crystal City. In anticipation of talks moving beyond Amazon’s decision to choose a second headquarters here locally, many of these residences could become welcome new accommodations for many moving to the area. News came this past weekend that Amazon is in late-stage discussions to bring its second headquarters to Crystal City. Given that news, UrbanTurf updated our article from this past summer on what is in the residential pipeline for the area. While we are still days, if not weeks, away from the behemoth corporation announcing its decision, developments in and around Crystal City are in various stages of planning and completion. Many of the projects planned are infrastructural in nature, such as the efforts to realign 15th Street, or aspirational, like the proposal to construct a pedestrian bridge to National Airport. Below, UrbanTurf focuses on the residential units on tap. 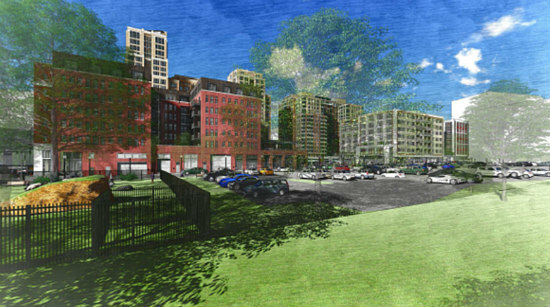 The largest of JBG Smith’s planned developments in the neighborhood, the four-building Central District will redefine Crystal Drive between 15th and 18th Streets. 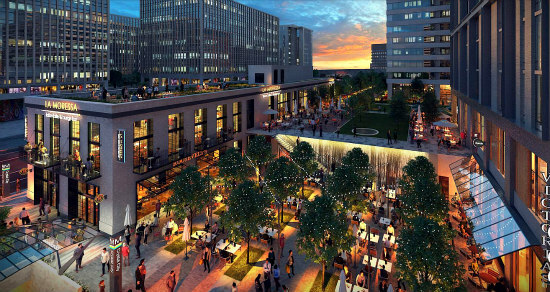 The completed development will include a new pedestrian plaza outside a new Metro station entrance and over 240,000 square feet of retail (including a boutique grocer and a new location of Alamo Drafthouse Cinema). An office building central to the development was previously slated for conversion into residential, but now may house Amazon if Northern Virginia is chosen for the company’s second headquarters. Developer LCOR is in the last stages of constructing this two-building complex at 400 Army Navy Drive (map). The 17-story towers, designed by SK&I Architectural Design Group, sit atop a three-story shared base on the former site of the “Paper Clip” office building. 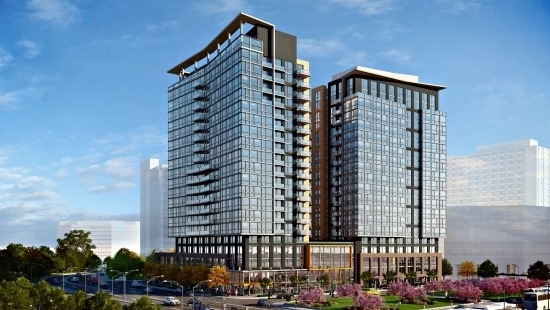 The project’s 300 apartments started delivering this fall. Lowe Enterprises is planning to add 22 stories above the two-story retail structure currently at 2351 Jefferson Davis Highway (map) — a roadway that could potentially be renamed as of next January. Cooper Carry is the architect. The addition would accommodate 302 apartments, divided among 47 studios, 126 one-bedrooms and 129 two-bedrooms. Residents will have access to 242 spaces of the garage parking currently shared among the seven buildings spanning 23rd to 26th Streets; 100 retail parking spaces will also be retained. The project is expected to break ground by the end of the year. In February, Balfour Beatty Construction applied to demolish the six buildings on the 1400 block of South Eads Street (map), potentially clearing the way (literally) for the next phase of the Metropolitan Park development. 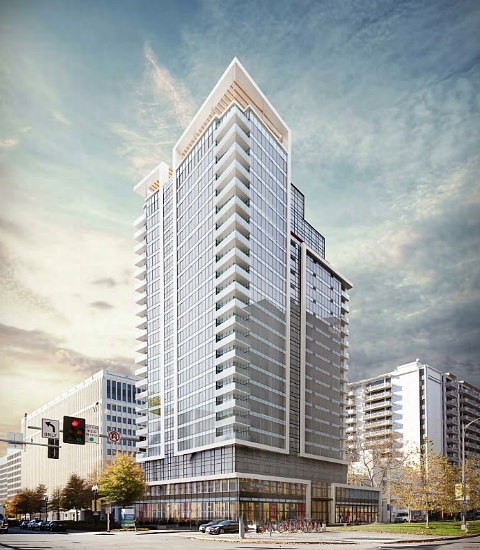 While no new plans have surfaced since Vornado was absorbed into JBG Smith, the site was approved for a 22-story development with 577 apartments and 9,665 square feet of retail in July 2016. Two additional mixed-use redevelopment phases were also planned for the parcels south of this one. The owners of Crystal Houses across the street from the Crystal City Metro station are planning to add a third building to the complex. The five-story building slated for the surface parking lot on the southwest corner of 18th Street South and South Eads Street (map) would deliver 252 additional apartments above 418 parking spaces across two below-grade levels. A 31,000 square-foot public park will also be delivered with the project. Lessard Design is the architect. JBG Smith is also applying to construct 342 residential units above retail on the 6.4-acre site at 12th Street South and South Eads Street (map), just across the street from the Crystal City neighborhood. The development would deliver a pair of 7-story buildings, each with 171 apartments, on either side of a public plaza with an art installation. The East building would contain 18,641 square feet of retail and 78 parking spaces, while the West building would have 20,504 square feet of retail and 73 parking spaces. The development would also eventually have a second phase, for which details are still forthcoming. Upon completion of the first phase, the site of the second phase will be temporarily improved with a dog park and 204 spaces of surface parking. South Elm Street will also be extended through the site.